In the Ricard Maixenchs press room at Camp Nou, president Josep Maria Bartomeu also cited the important of Pique’s desire to commit his future to the blaugranes. “It’s a special day, Gerard Piqué is an experienced player, a Barça fan from birth and let’s hope we can continue to keep winning trophies. The deal was an easy one,” said the president in front of the gathered media. 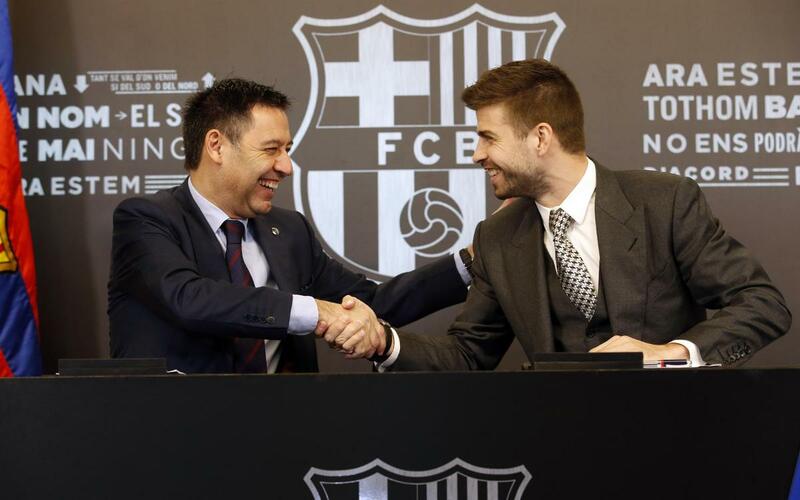 “Barça is my home and I thank everyone who has made it possible to continue here,” added Piqué.